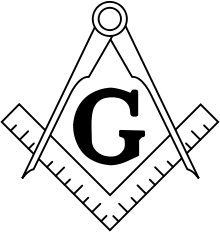 The question of whether Freemasonry is Anticlerical is the subject of debate. The Catholic Church has long been an outspoken critic of Freemasonry, and some scholars have often accused the fraternity of anticlericalism. The Catholic Church forbids its members to join any Masonic society under pain of interdiction. Freemasons usually take a diametrically opposite view, stating that there is nothing in Freemasonry that is in any way contrary to Catholicism or any other religious faith. Whether Freemasonry is Anticlerical often depends on how one defines Anticlericalism and what branch of Freemasonry one is talking about. Starting in the late eighteenth century, and rapidly expanding in the nineteenth, Freemasonry became polarized over the issue of whether the discussion of religion and politics was appropriate in lodges. Those Grand Lodges that adhered to the Anglo-American form of Freemasonry maintained a strict rule that such discussion was banned. Historian John Robinson notes this fact in reaching the conclusion that Freemasonry is not anticlerical. The fact that the Continental branch of Freemasonry was concentrated in traditionally Catholic countries may account for the fact that the fraternity has been seen by Catholic critics as an outlet for anti-Catholic disaffection. Many particularly anti-clerical regimes in traditionally Catholic countries were perceived as having a strong Masonic element. According to historians Christopher Clark and Wolfram Kaiser, Freemasonry was not anticlerical from the outset. They state that this changed in the nineteenth century (in part because of measures by the Catholic Church) and that Freemasonry (mostly continental Freemasonry), developed an anticlerical outlook. They note, however, that the influence of freemasonry should not be given too much weight; even in Italy it was eclipsed in influence by non-Masonic groups such as the Carbonari. They also note that lodges did not hold one consistent political line, many being completely apolitical. The historian Stanley Payne believed that the influence of Freemasonry has often been overstated noting that Spanish Catholics had been accused of suffering from a "Masonic psychosis" and notes that, numbering near 65,000 in 1890, “they sometimes figured prominently in Spanish liberalism and republicanism, but their direct collective influence on both politics and anticlericalism has doubtless been considerably exaggerated". According to historian Stanley G. Payne, members of the Masonic lodges played a major role in the rise of Portuguese liberalism and anticlericalism. However, he notes that the fraternity was not always united in opinion. Masons were found on both sides of the Gomes da Freire revolt in 1817. In 1820, however, Masons were devoted almost unanimously to the liberal cause in politics, and in the 1830s they had become the principal promoters of anticlericalism. After the triumph of constitutionalism, however, Portuguese Freemasonry split into more radical and more conservative groups, and by the 1860s it had ceased to play a catalytic role in politics. The upper middle class, established in power and wealth, were less attracted to it, and by the late nineteenth century Masons were drawn mainly from the lower middle class ranks of white-collar employees. Its place in radical politics at the turn of the century was taken over largely by secret republican radical political societies, especially the non-masonic Carbonária, and by 1912 the Masons had fewer than 3,000 members. The Papal encyclical Etsi multa of Pope Pius IX in 1873 claimed that Freemasonry was the motivating force behind the Kulturkampf: "Some of you may perchance wonder that the war against the Catholic Church extends so widely. Indeed each of you knows well the nature, zeal, and intention of sects, whether called Masonic or some other name. When he compares them with the nature, purpose, and amplitude of the conflict waged nearly everywhere against the Church, he cannot doubt but that the present calamity must be attributed to their deceits and machinations for the most part. For from these the synagogue of Satan is formed which draws up its forces, advances its standards, and joins battle against the Church of Christ." The Catholic Encyclopedia also claims that the Kulturkampf was instigated by Masonic lodges. The rivalry between the Catholic Church and the Grand Orient of Belgium led to the foundation of the Free University of Brussels which was founded largely by Belgian Freemasons concerned at the expansion of Catholic influence within Higher Education. In the Papal constitution Ecclesiam a Jesu Christo (1821) Pope Pius VII linked the anticlerical Italian secret society, the Carbonari to Freemasonry. In the period between Italian unification (1870) and the Lateran Treaties (1929) there was a cold war between the Papacy and the Kingdom of Italy (see Prisoner in the Vatican). The Papal Encyclical Etsi Nos, complained about the way in which post-unification Italy denigrated the role of the church, which the Vatican blamed primarily on Freemasonry. Benito Mussolini decreed in 1924 that every member of his Fascist Party who was a Mason must abandon either one or the other organization, and in 1925, he dissolved Freemasonry in Italy, claiming that it was a political organisation with anti-religious influence. One of the most prominent Fascists, General Cappello, who had also been Deputy Grand Master of the Grande Oriente, Italy's leading Grand Lodge, gave up his membership in the Fascist Party rather than in Masonry. He was later arrested on false charges and sentenced to 30 years in jail. The hostility to Freemasonry shaped much of the Catholic Church's strategy in regard to the newly established Italian state. For example, in the encyclical Custodi di quella fede Leo XIII warned against Catholics becoming involved with liberal groups and asked Catholics to become more involved in forms of Catholic Action away from the "Masonic" state. In 2007 Italian politicians in the Union of Christian and Centre Democrats and Forza Italia accused “radical and Masonic” groups of being behind a threatened investigation by the European Commission of whether or not the tax-exempt status of the Church’s hospitals, schools, and other social service organizations should be withdrawn. The Mexican Revolution was seen by the leadership of the Catholic Church to be both masonically inspired and anti-clerical with Cardinal William Henry O'Connell in 1914 claiming that there was a Masonic conspiracy to spread atheism and anarchy. President Plutarco Elías Calles, a Freemason sought to vigorously enforce the secularising provisions of the constitution and enacted additional anti-Catholic legislation known as the Calles Law, which enacted a number of anti-clerical provisions, for example fining priests for wearing clerical dress. Many Catholics rebelled against the oppression in the conflict which is known as the Cristero War. On May 28, 1926, Calles was awarded a medal of merit from the head of Mexico's Scottish rite for his actions against the Catholics. In August 2007 Pedro Marquez of the Grand Lodge of the Valley of Mexico, in discussing a call by the Church to lift the ban in the Mexican constitution against Catholic schools and newspapers, stated "The Catholic hierarchy wants to dictate a political policy and that is a very grave error, as our society is no longer in the era of Christianity and priests are no longer viceroys of New Spain," and that "There is a tendency in the Church to meddle in the social and political affairs of Mexico, but the priests should return to their Churches". Some attributed to Freemasonry the assassination of Gabriel Garcia Moreno who twice served as President of Ecuador (1859-1865 and 1869-1875) and was assassinated during his second term, just days before he was to take office in his third term. He is noted for his conservatism and Catholic religious perspective. Part of the animosity García Moreno generated was because of his friendship toward the Society of Jesus, and during a period of their exile, he helped a group of displaced Jesuits find refuge in Ecuador. He had also advocated legislation which would outlaw secret societies. This action and many similar ones encouraged the anti-Catholic parties of Ecuador, especially the Masons, to see in him an inveterate enemy. The 1869 constitution made Catholicism the established religion of the state. He was the only ruler in the world to protest the Pope's loss of the Papal States, and two years later had the legislature consecrate Ecuador to the Sacred Heart. One of his biographers writes that after the public consecration, he was condemned to die by German Freemasonry. I wish to obtain your blessing before that day, so that I may have the strength and light which I need so much in order to be unto the end a faithful son of our Redeemer, and a loyal and obedient servant of His Infallible Vicar. Now that the Masonic Lodges of the neighboring countries, instigated by Germany, are vomiting against me all sorts of atrocious insults and horrible calumnies, now that the Lodges are secretly arranging for my assassination, I have more need than ever of the divine protection so that I may live and die in defense of our holy religion and the beloved republic which I am called once more to rule. On August 5, shortly before his assassination, a priest visited García Moreno and warned him, "You have been warned that your death was decreed by the Freemasons; but you have not been told when. I have just heard that the assassins are going to try and carry out their plot at once. For God's sake, take your measures accordingly!" García Moreno replied that he had already received similar warnings and after calm reflection concluded that the only measure he could take was to prepare himself to appear before God. A contemporary review of public events observed that "It appears he was assassinated by members of a secret society". ↑ Clark & Kaiser 2003, pp. 54-55. ↑ Clark & Kaiser 2003, p. 55. ↑ Clark & Kaiser 2003, p. 213. 1 2 Payne 1984, p. 127. ↑ Payne 1973, Chapter 22. ↑ "They also instigated the "Kulturkampf". The celebrated jurisconsult and Mason, Grandmaster Bluntschli, was one of the foremost agitators in this conflict; he also stirred up the Swiss "Kulturkampf"." From Masonry (Freemasonry) in the Catholic Encyclopedia and "German Freemasons fostered the Kulturkampf and helped further the dominance of the Prussian state." Freemasonry', New Catholic Encyclopedia, 1967 ed, Volume 6, p 135, McGraw-Hill, New York. ↑ "It is even reported that this year it is about to receive the deputies and leaders of the sect which is most embittered against Catholicism, who have appointed this city as the place for their solemn meeting. The reasons which have determined their choice of such a meeting place are no secret; they desire by this outrageous provocation to glut the hatred which they nourish against the Church, and to bring their incendiary torches within reach of the Roman Pontificate by attacking it in its very seat." Paragraph 3, Etsi Nos (On Conditions in Italy). ↑ "Gabriel García Moreno". Catholic Encyclopedia. Retrieved 2007-02-18. Gruber, Hermann (1910). "Masonry (Freemasonry)". In Herbermann, Charles. Catholic Encyclopedia. 9. New York: Robert Appleton Company.